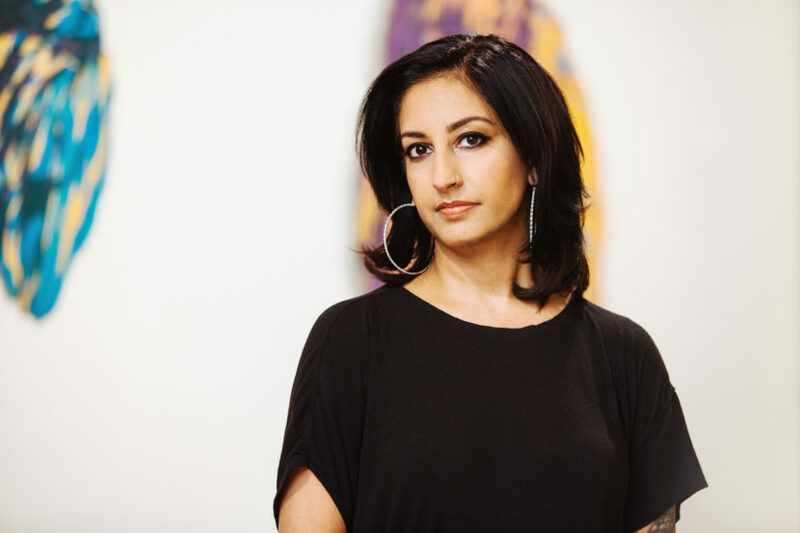 Jasbir K. Puar is Professor and Graduate Director of Women’s and Gender Studies at Rutgers University, where she has been a faculty member since 2000. Her most recent book is The Right to Maim: Debility, Capacity, Disability (2017) published with Duke University Press in the series ANIMA: Critical Race Studies Otherwise that she co-edits with Mel Chen. Puar is the author of award-winning Terrorist Assemblages: Homonationalism in Queer Times (2007), which has been translated into Spanish and French and re-issued in an expanded version for its 10th anniversary (December 2017). Puar’s edited volumes include a special issue of GLQ (“Queer Tourism: Geographies of Globalization”) and co-edited volumes of Society and Space (“Sexuality and Space”), Social Text (“Interspecies”), and Women’s Studies Quarterly (“Viral”). She also writes for The Guardian, Huffington Post, Art India, The Feminist Review, Bully Bloggers, Jadaliyya, and Oh! Industry. Her writings have been translated into Polish, French, German, Croatian, Swedish, Norwegian, Portuguese, Japanese, Korean, Spanish, and Danish. Puar’s major awards include a 2018 Fellowship from the Palestinian American Research Council, the 2013-14 Society for the Humanities Fellowship at Cornell University, the Edward Said Chair of American Studies 2012-13 at the American University of Beirut, a Rockefeller Fellowship at the Center for Lesbian and Gay Studies at the CUNY Graduate Center (1999-2000) and a Ford Foundation grant for archival and ethnographic documentation work (2002-2003). She received the 2013 Modern Languages Association Gay Lesbian/Queer Caucus Michael Lynch Award for her years of scholar-activist work. In January 2013 she was honored with the Robert Sutherland Visitorship at Queens University, awarded to “a notable individual with expertise in race relations.” She has also received two awards for her graduate teaching, in 2011 from the Graduate School of Rutgers University and in 2012 from the Northeastern Association of Graduate Schools. In 2017 Puar’s article “Bodies with New Organs: Becoming Trans, Becoming Disabled” (Social Text #124) was awarded the Modern Language Association’s Gay Lesbian/Queer Caucus’s Crompton-Noll Prize for Best LGBTQ Studies Article. Distinguished lectureships include the Butrill Endowed Fund for Ethics Lecture at Texas A&M University (2017); the Hull Lecture on Women and Justice at University of California Santa Barbara (2015); the Lionel Cantu Memorial lecture at University of California Santa Cruz (2014); Henry Jackson Endowed Lectureship in International Relations at Whitman College (2014); the Peg Zeglin Brand Lecturer at Indiana University (2013); Whidden Lecturer at McMaster University (2013); Distinguished Visiting Professor at the American University of Cairo (2012); the Institute of Women’s Studies’ Shirley Greenberg Lecture at the University of Ottawa (2012). Puar has held visiting positions in the Department of Performance Studies at NYU, the Institute for Cultural Inquiry in Berlin, and Linköping University in Sweden. Along with numerous U.S. speaking engagements, Puar has delivered international keynote addresses at the Troubling Seasons of Hate Conference at the University of Witwatersrand (Johannesburg, South Africa, December 2017); European Geographies of Sexualities Conference (Barcelona, Sept 2017); Conflicted Bodies (Goldsmiths, London, Sept 2017); Defazendo Genero (Campina Grande, Brazil, October 2017); Affect, Embodiment, and Politics (Barcelona, 2015); Space, Race, Bodies (University of Otago, New Zealand, 2014); Citizenship and Migration (Helsinki Collegium for Advanced Studies, Finland); Transnational Affect Conference (London, 2014); Amsterdam Cultural Studies Association Annual Meeting (Amsterdam, 2014); Gendered Citizenship Conference (Bergen, Norway, 2013); Somatechnics Missing Link Conference (Linköping, Sweden, 2013); the Australian Critical Race and Whiteness Studies Association Conference (Adelaide, 2012); Gender, Violence and Agency in the Age of Globalization Conference (Vienna, 2012); the Southeastern Women’s Studies Association Conference (George Mason, 2012) and Human Rights Beyond the Law, Jindal Global Law School (New Delhi, 2011). Currently Professor Puar is completing her third book, a collection of essays on duration, pace, mobility, and acceleration in Palestine titled Slow Life: Settler Colonialism in Five Parts.